A national organization that works to create a safer environment for lesbian, gay, bisexual, transgender and questioning students has ranked Ithaca College among the top 25 colleges and universities in the nation for being LGBTQ inclusive. The rankings by Campus Pride are based on a set of benchmarks that it uses to create an index assessing an institution’s LGBTQ-friendly policies, programs and practices. This marks the eighth consecutive year that IC has achieved the highest five-star rating on the Campus Pride Index. Luca Maurer, program director of the college’s Center for LGBT Education, Outreach and Services, says the ranking reflects the work the center is doing for LGBTQ students to reduce social isolation and increase connectedness to the campus community, which helps to increase their academic success. 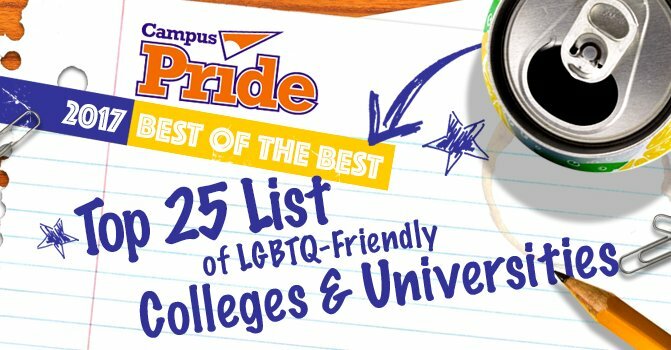 In order to be in the top 25 listing, an institution had to score the highest percentages in the LGBTQ-friendly benchmarks. Other institutions in the ranking include Princeton, Penn, Ohio State, the University of Oregon and Indiana University. For more information on Campus Pride, visit campuspride.org. For more information on the Ithaca College LGBT Center, visit ithaca.edu/lgbt.